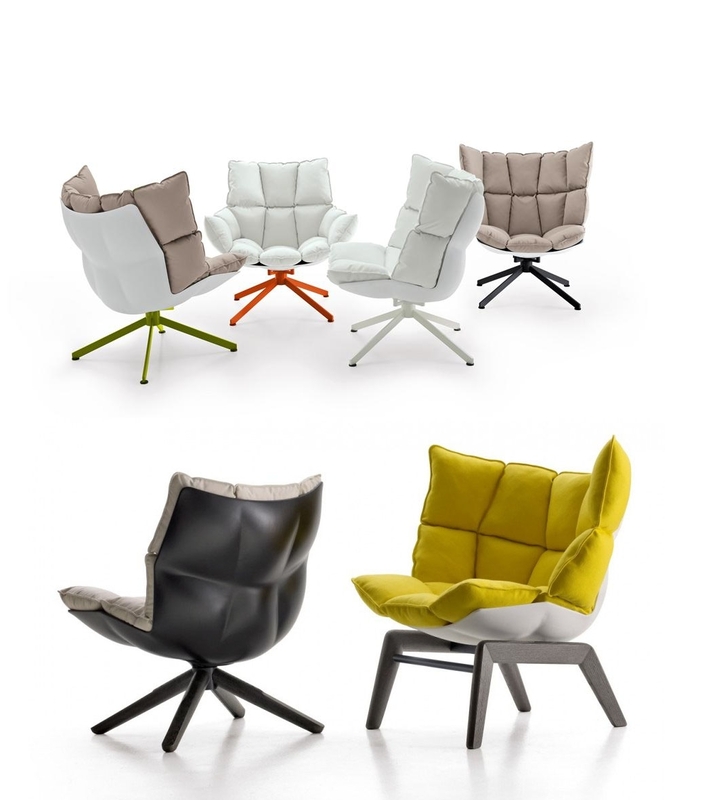 The Husk Chair is a beautiful and comfortable chair designed by Patricia Urquiola for B&B Italia. The Husk armchair consists in a simple plastic shell and lots of soft cushions. The chair's body support can be either fixed or rotating. The soft cushions are available in different sizes (standard, large and very large) and colors. Also the Husk Chair can be equipped with an ottoman footrest.